This 21,000 square foot fabrication facility, with offices required the installation and coordination of gantry cranes and and other specialized shop equipment. We worked closely with the owners and staff to ensure all equipment and work space was maximized. This 16,000 square foot automotive repair facility sits on 1.75 acres and required a specific set of requirements. A turntable was designed and installed to maximize functionality of the space which includes numerous body shop areas, prep and paint booths, along with customer waiting area and offices. 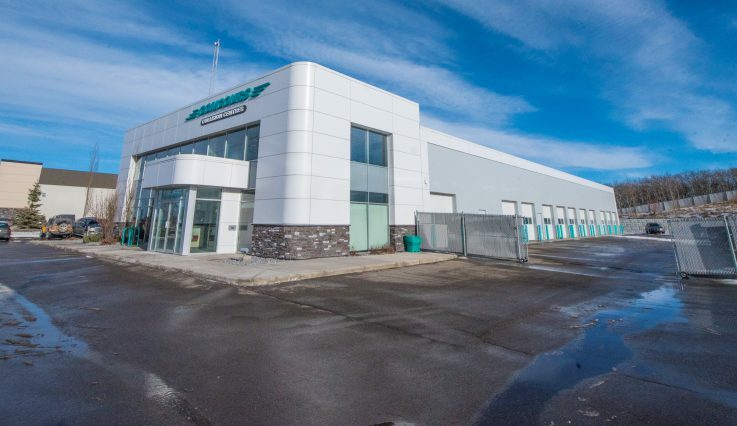 Formerly a bingo hall, the building was completely repurposed to become Calgary’s first stand-alone Honda Powerhouse location. All mechanical, lighting, flooring and finishes were upgraded, while other elements were repurposed to maximize budget.